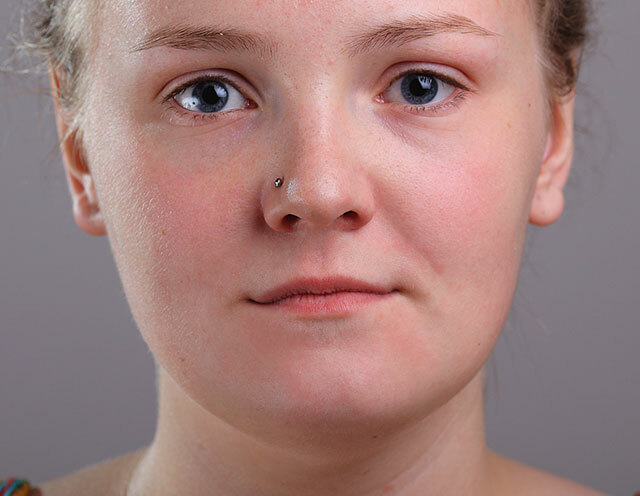 Learn how to remove acne and other minor skin blemishes from a portrait, leaving healthy looking skin in its place, using the Spot Healing Brush in Photoshop! The Spot Healing Brush can remove or repair all kinds of small imperfections in a photo, but here we'll focus on how to use it to retouch skin. 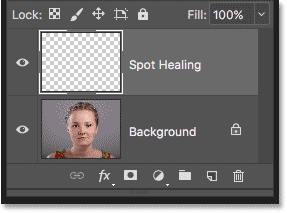 Photoshop's Spot Healing Brush is basically a texture replacement tool. 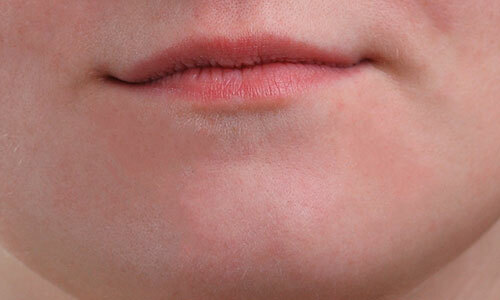 It takes damaged or unwanted texture from one area and replaces it with good texture from the surrounding area. The good texture is then blended with the problem area's original tone and color to "heal" the image with seamless results. The Spot Healing Brush is similar to its big brother, the standard Healing Brush. But while the Healing Brush makes us choose the good texture ourselves, the Spot Healing Brush chooses texture all on its own, and that makes it much faster to use. 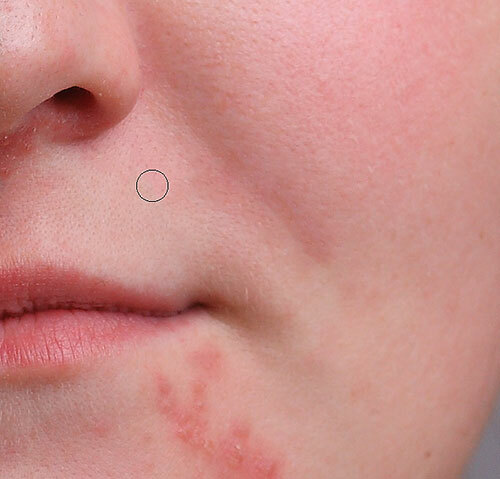 When retouching skin, we just click on a blemish with the Spot Healing Brush, and like magic, the blemish is gone! Let's see how it works. I'll be using Photoshop CC but this tutorial is fully compatible with Photoshop CS6. The original photo on the Background layer. 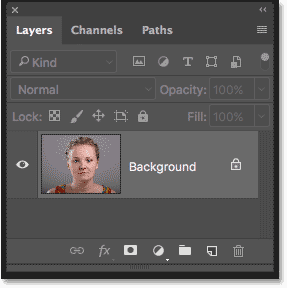 Naming the layer in the New Layer dialog box. 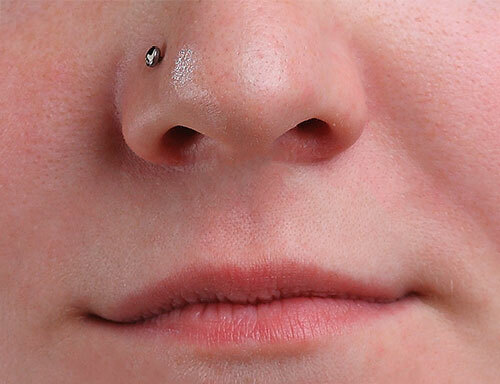 The retouching work will now be separate from the original photo. Choosing the Spot Healing Brush. The "Sample All Layers" option. "Content-Aware" should be selected by default. 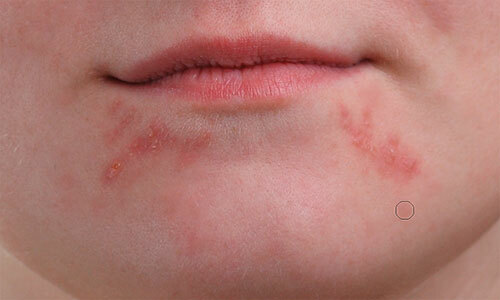 Click on pimples and other minor skin blemishes with the Spot Healing Brush to quickly heal them. For best results, keep your brush slightly larger than the blemish. To change your brush size from the keyboard, press the left bracket key ( [ ) to make the brush smaller or the right bracket key ( ] ) to make it larger. Moving the Spot Healing Brush over a blemish. 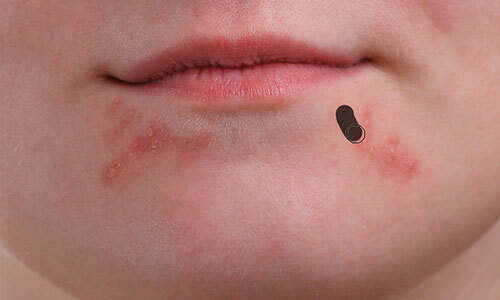 Clicking to remove the blemish and heal the area. If Photoshop makes a mistake and the blemish isn't gone after the first try, undo your click by pressing Ctrl+Z (Win) / Command+Z (Mac) on your keyboard. Resize your brush if needed, and then click on the same spot to try again. Each time you click, you'll get a different result. 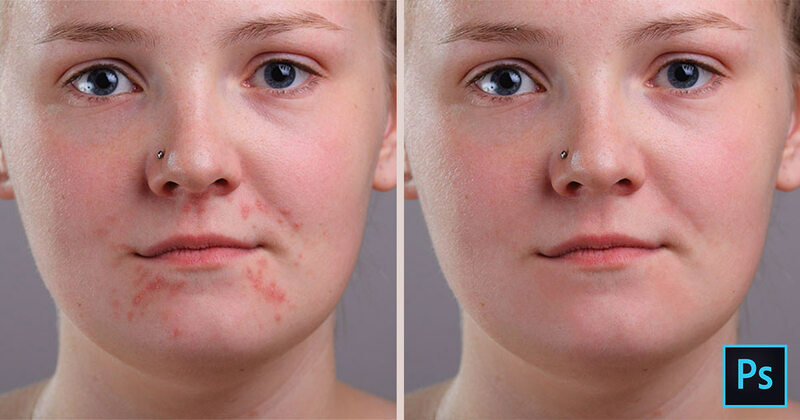 More pimples have been cleared up with just a few clicks of the mouse. Large clusters of pimples can be a bit more of a challenge. Heal small areas before moving on to larger ones. Releasing the brush to let the Spot Healing Brush do its thing. A few more pimples left to remove. The remaining blemishes have been removed. The Blend Mode option for the Spot Healing Brush. With the blend mode set to Lighten, Photoshop will only replace pixels that are darker than the good texture. Since pimples and other skin blemishes are usually darker than normal skin tone, only the pimple or blemish itself gets replaced, leaving more of the original skin texture surrounding it intact. If a blemish is lighter than the normal skin tone, try the Darken mode instead. To quickly switch between blend modes for the Spot Healing Brush, press and hold the Shift key on your keyboard and press the + or - keys. The visibility icon for the "Spot Healing" layer. And there we have it! That's how to remove acne and other minor skin blemishes with the Spot Healing Brush in Photoshop! Now that you know how the Spot Healing Brush works, take your skills to the next level by learning how to smooth skin in a portrait, or how to reduce the appearance of wrinkles! 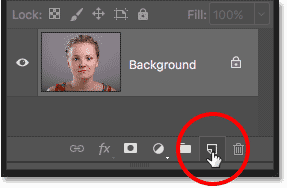 You'll find even more tutorials in our Photo Retouching section!